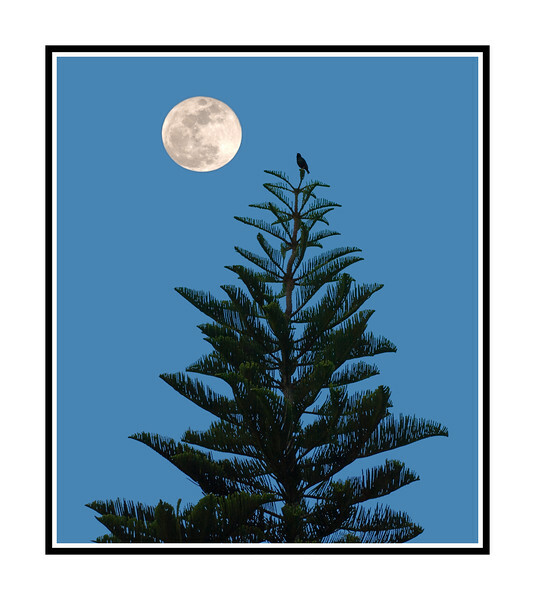 The moon rises over the Everglades and a mockingbird perched at the top of a Norfolk Island Pine tree. Lots of great images today from young, older and in-between. So much talent leaves me awed! Have a great Sunday! this is very relaxing to look and very good composition! Terrific shot! Love that bird! Gorgeous! I agree about great images here-- it's so inspiring to me to see such beauty from all over! To catch the mockingbird at the top of the pine makes this a fantastic shot!